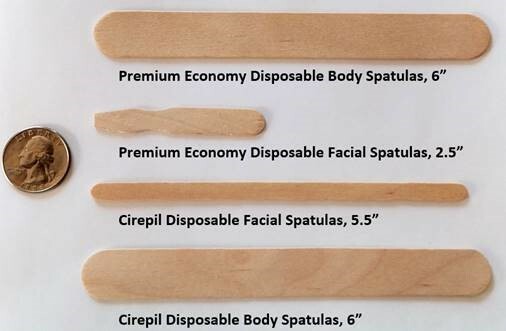 EstheticsNW carries a variety of spatulas for your wax application needs. We stock both Economy spatulas for the budget minded and Cirepil spatulas for those seeking the finest quality. Please refer to the chart to the right to help make your selection.